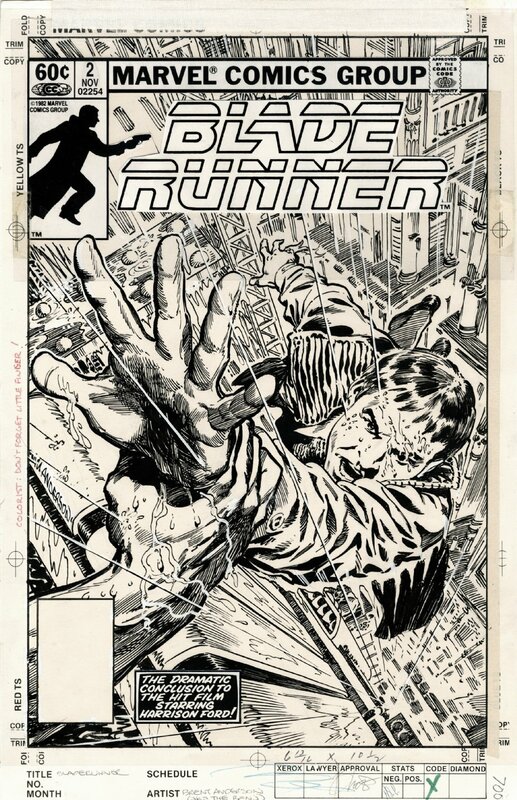 MARVEL Comics Cover art for the second and final adaption issue of the classic movie BLADE RUNNER, starring Harrrison Ford, cover dated November 1982. Art is in fine condtition, with the Blade Runner logo on an acetate overlay. The rest of the Marvel cover letterhead is attached to the physical art. This art depicts the stunning conclusion to the film.... will Roy Batty, the renegade replicant, show mercy to Rick Deckard? 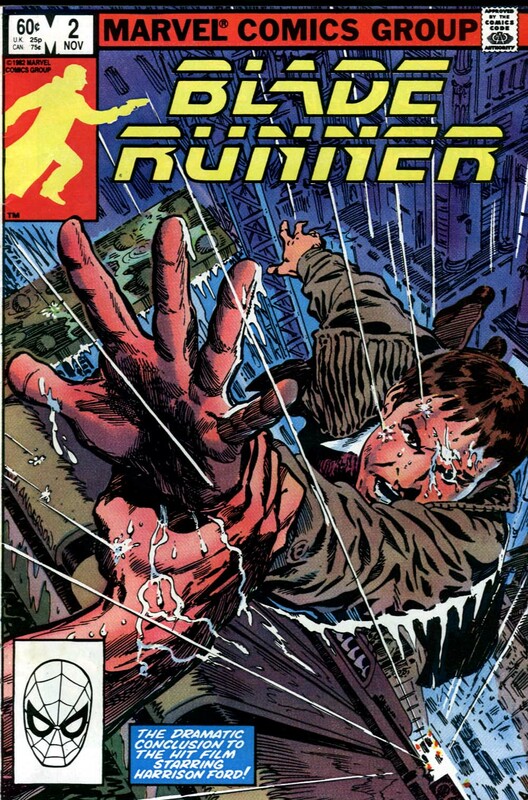 ( the Blade Runner who has chased him down with the intention of 'retiring' him. ) One of the truly great science fiction films, and an incredibly rare opportunity to acquire a key piece of this Marvel comics adaption, there being only the 2 covers from the official film adaption from 1982.